So you are interested in ordering a 1/2 or whole lamb? Then you’ve come to the right place! We will explain how it works, how much it will cost, and what the options are. You can then decide if this type of purchasing is right for you. IF you do, then you can place a deposit here. Note: Our supply of lamb fluctuates and is very seasonal. If you want to order, please email, call, or facebook message us to get an idea of when the next ones will go in (majority in fall). Bulk ordering allows you to get a wide variety of cuts all at once for a good price. It eliminates a lot of trips to the store or farmer’s market, and you can control what you get. Don’t like roasts? No problem! 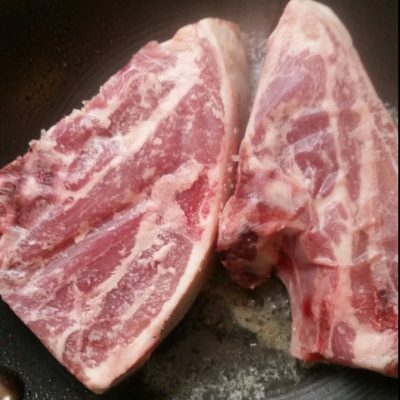 Love stew meat? Can do. First you choose how big a portion you want. Our Icelandic lambs average around 50lbs hanging weight(how much the carcass hangs up in the meat locker), which is what the price is based off of. 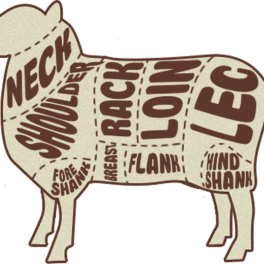 Yield of meat is around 60% of hanging weight depending on how many bone-in or boneless cuts you get. So for a half you are looking at around 30lbs of meat. 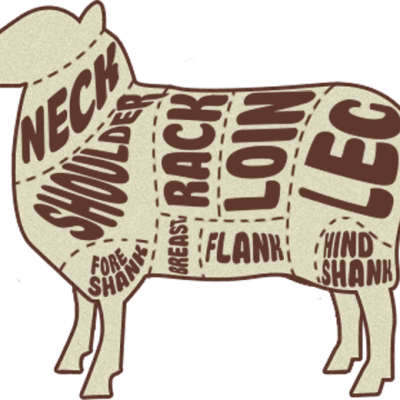 One caveat to this is that if you get most of your lamb turned into boneless cuts or ground the yield will be much lower. We charge $5.00/lb hanging weight plus processing costs. 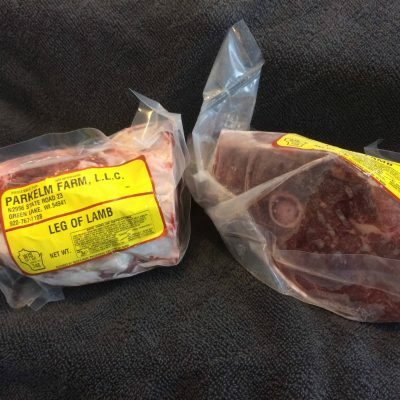 So for that 50lb hanging weight you would pay $250 plus processing, which is usually around $75 for a lamb. That gives you ~$325 for 30lbs of meat. This averages out to ~$10.75/lb of meat that you take home. That is a great deal considering that you are getting everything from the ground lamb which costs $8.00/lb retail all the way up to the chops which go for $18.00/lb retail! When you decide you are ready to commit to a half or whole just let us know. We will let you know when the next time lambs are going in is and then we will call or email you back to get the details on how you would like it done. We take care of all the customer service ourselves so you don’t have to talk to the butcher or go pick it up. You write one check out to us and we arrange to meet you to drop it off. How many steaks and chops would you like to a package? Would you like the racks french cut? or cut into lollipops? the roasts bone in or boneless? Would you like shanks? Whole or cross cut?